At Electricity Express we understand that sometimes your budget is tight and electricity can’t wait. We have got you covered! Same day connection is available at no extra charge. We can connect you FAST and EASILY. And that’s not all… act now and start saving with our new rate at 7.8 ¢ kWh! Oncor Area Only. This “priority service” usually has a fee, we are not charging this fee in any of our service areas. Same Day Service Connection Fee it is FREE! All POSTPAID energy services are available for EVERYONE, however, customers may go through a credit check to see if they qualify without a deposit, no credit check plans are also available. We recently added 3 new companies that offer postpaid (month-to-month billing) at great kWh rates. We have been working hard to bring the best of these companies. Not everyone is into prepaid energy services, aside that is a fairly new system to do energy business. Some of our customer can’t get use to the billing method via text message. Traditional monthly billing is what makes the difference, the kWh rates are very similar and competitive. As you may know; when you ask for a month-to-month energy service a credit assessment will be performed, this is to determine if a deposit will be required; now don’t be afraid, because we never know how this credit assessment will come back to us. We’ll do our best to offer an energy rate and plan you will be comfortable. 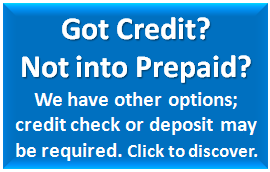 The worst case scenario, if your credit is insufficient we will work with you to pay the lowest deposit on the market. *Selected Energy Plans, see each provider for details. Electricity Express Call Now: 469 288 3327 for postpaid electricity services. Electricity Express makes choosing the lowest cost electric power fast and easy! While there are plenty of utility providers out there including, TXU, Pronto, Green Mountain, Electric Now, First Choice Power, 4Change Power, etc. Our NEW Low Rate: Call today and get a low 12.0 ¢ kWh rate… Hurry, this is too good to miss. 23% off from regular plans, act now to get your 12.0 ¢ kWh rate. This is not an introductory rate, this is for real and hopefully it’s here to stay. We want our customers happy, they come for the convenience, they stay for the savings. PLUS: No more PRIORITY SAME DAY SERVICE FEES; that’s right, we use to have a priority fee to connect the energy service same/next day, now it is FREE. All these plans are for new customers and valid as long as the customer stays active with Payless Power. Same day electricity connection with no extra fees. At Electricity Express, you will get prepaid electricity and we will not ask for vital information like social security numbers or driver’s licence numbers. This means that we will not do a credit check on you, you will not be signing a contract and we will not keep any money as a deposit. And remember, with us you are prepaying for the kilowatts you will use. Our rates are extremely competitive, and we focus on bringing you an easy-to-understand product. Our bundled rate includes the delivery charges which most of our competition don’t even dare to talk about. Their delivery charges can increase up to 35% of your entire bill. At Electricity Express, we have you covered! Delivery charges are within the rate the sales representatives quote. Our billing method is simple – forget about paper statements that usually end up in a drawer or in your glove compartment. We use a state-of-the-art daily text message and/or email system that tells you how much electricity you use every day and how much you have left in your meter. This way you can control your electricity usage, modify your habits and save more money (read more on the “how to save” tag). This allows you to budget and choose when and how often to pay. Whether you want to pay weekly, monthly or every other month. With this daily text message you will also have all you need to make payments. So when the time to make a payment comes, you just need to take your cellular phone to the payment center, call in or go online. We do not charge loading fees using our automated systems online or by phone. They offer so many plans and introductory rates which are very confusing. Their main goal is to lock you into a contract. We make it simple by letting you prepay for the kilowatts you will use without long term commitments. We do all this and still offering you a low rate. Now you have the power to choose how much you want to save and how often you will get free electricity. Need power now? Electricity Express best feature is our same day service option NOW IT IS FREE OF CHARGE. Many of our competition can’t do this because they are forced to perform a credit check and then must wait for the historical meter reading. All prices and rates are determined by Utility Territory and are subject to change without notice, please call Electricity Express to get the current price or rate in your area.